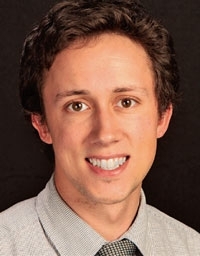 Ryan Beene has joined Automotive News as a staff reporter in California. Beene, 25, will team with West Coast Editor Mark Rechtin in the Los Angeles bureau. His main focus will be covering Hyundai, Kia, Mazda, Mitsubishi and Suzuki. Beene most recently was a reporter at Crain's Detroit Business, a sister publication of Automotive News, where he covered automotive suppliers, higher education and the steel industry in southeast Michigan. Before joining Crain's Detroit Business in April 2008, he was an intern at Automotive News. Beene, a native of Ann Arbor, Mich., earned a bachelor's degree in 2007 from Michigan State University.